This spacious 4 bedroom 2 bathroom low-maintenance home is ready for you right now! Features: - Spacious master bedroom at the back of the house has a generous sized walk-in-robe. - Modern quality finished ensuite bathroom with double washbasin. - Additional three bedrooms with built-in sliding door robes located to front wing of the house. - Well appointed main bathroom with bath and separate shower. - Split system reverse cycle air conditioners to main bedroom and living. 4 bedroom home now available in Alkimos Beach. Close walk to shops, cafe and parks nearby. Property includes: - 4 large bedrooms all with built in robes. - Modern bathrooms with his and hers sink to ensuite. - Theatre room. - Large kitchen with stainless steel appliances and dishwasher - Family/living area. - Double lock up garage with shoppers entrance. - Split system air conditioner For more information please contact Brittany on 92061600. DIRECTIONS From Marmion Ave, at the round-about turn onto Graceful Boulevard. Take the first left onto Providence Drive. Take the second left onto Sanderling Street. This brand new 4 bedroom 2 bathroom low-maintenance home is ready for you right now! Features: *Spacious master bedroom has a generous sized built-in-robe with sliding doors. *Modern quality finished ensuite bathroom with double washbasin *Additional three bedrooms with built-in sliding door robes located to front wing of the house. *Well appointed main bathroom with bath and separate shower. *Split system reverse cycle air conditioners to main bedroom and living. *Separate theatre room *Modern very functional kitchen with beautifully glossy white laminex cupboards below and above benchtop. Finished with beautiful black stone bench top. *Stainless steel appliances. *Dishwasher recess. Plenty of benchtop for meals preparation and overhead cupboards for extra storage. *Easy access to alfresco area from the living/dining overlooks easy care reticulated garden beds. *Easy to clean tiled floors to entry/dining/family areas and to both bathrooms and laundry areas. *All bedrooms are carpeted. *Double lock up garage *Security alarm system. *Small Pets Negotiable Close to shops, transport restaurants, Wanneroo and Joondalup City with easy access to the freeway. Please email your enquiry to brittany@urbanwa.com.au or call 9206 1600 to arrange a viewing time today! BRAND NEW HOME IN GREAT LOCATION!! This low-maintenance 4 bedroom 2 bathroom home is ready for you. Features: - Spacious master bedroom has a generous sized built-in-robe - Modern quality finished ensuite bathroom with double basins - Additional three bedrooms with built-in robes - Well appointed main bathroom with bath and separate shower - Split system reverse cycle air conditioners to main bedroom and living - Modern very functional kitchen finished with stone bench top and stainless steel appliances - Dishwasher recess. Plenty of benchtop for meals preparation and overhead cupboards for extra storage - Easy access to alfresco area from the living/dining overlooks easy care reticulated garden beds - Easy to clean tiled floors to entry/dining/family areas and to both bathrooms and laundry areas - All bedrooms are carpeted - Double lock up garage - Security alarm system - Small Pets Negotiable Close to public transport, Wanneroo and Joondalup City shopping precincts with easy access to the freeway. Please contact Denise at Urban WA Real Estate to enquire or to book a viewing phone: 9206 1600 or email: denise@urbanwa.com.au You can scan/email your application. Features include: 4 good sized bedrooms all with built-in robes, ensuite to master bedroom, theatre room & outdoor patio area. Kitchen has stainless steel appliances and dishwasher recess. Split system air conditioning to master bedroom & main living area. Neat and tidy garden beds with low maintenance plants. YES! Pets are considered upon application for this property. Please contact Denise at Urban WA Real Estate to enquire or to book a viewing 9206 1600 *After hours you can sms your enquiry to 0409 699 769 denise@urbanwa.com.au You can scan/email your application. If your application is accepted, we arrange to meet with you at the property for signing and handover. This 4 bedroom 2 bathroom house has double size bedrooms with built in and walk in robe to the main. Well appointed kitchen with gas cooking, electric oven, plenty of cupboards & bench space. The kitchen overlooks a massive tiled meals/family living area with split system air conditioning. The home also features separate carpeted Theatre room, HUGE linen/storage cupboard and modern bathrooms. Lovely Alfresco dining with an outlook to low maintenance lawns & gardens. Pets Considered Please contact Denise at Urban WA Real Estate to enquire or to book a viewing phone: 9206 1600 or email: denise@urbanwa.com.au You can scan/email your application. We accept online applications from https://www.rent.com.au/ If your application is accepted, we arrange to meet with you at the property for signing and handover. This 4 bedroom 2 bathroom home in Baldivis is just waiting to be seen! Boasting four good sized bedrooms all with robes, ensuite to master bedroom, and another bathroom also, theatre room & lovely outdoor patio area. Kitchen has stainless steel appliances, & down lights to all main living areas. Air conditioning to master bedroom & also a split system in the main living area. Neat and tidy garden beds with low maintenance plants Double Remote Garage Gas Cooking Stone Benchtops Tiled Living Areas Landscaped Easy Care Gardens Walk in Robe to Master Bedroom Split System AC to Master Bedroom Split System AC to Living/Dining/Kitchen Area Built in Robes to Minor Bedroom Please contact Denise at Urban WA Real Estate to enquire or to book a viewing phone: 9206 1600 or email: denise@urbanwa.com.au You can scan/email your application. If your application is accepted, we arrange to meet with you at the property for signing and handover. This four bedroom, two bathroom home is perfect for the family. Plenty of grassed area for everyone to enjoy. Features include: - ducted air conditioning - easy care, reticulated gardens - double car space remote garage - master bedroom with walk in robe & ensuite bathroom - 3 minor bedrooms - modern fixtures and fittings - stainless steel appliances - modern kitchen - dishwasher - open plan living YES! Pets are considered upon application for this property. 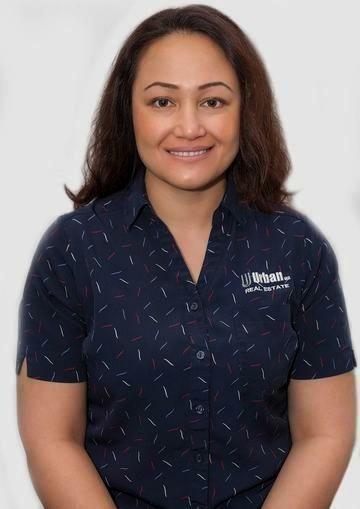 Please contact Denise at Urban WA Real Estate to enquire or to book a viewing 9206 1600 *After hours you can sms your enquiry to 0409 699 769 denise@urbanwa.com.au You can scan/email your application. If your application is accepted, we arrange to meet with you at the property for signing and handover. We are very happy with the way our property has been managed. From the first meeting with Peter Barwick through to our current property manager Denise Shaw. Judy and I have been extremely happy with the service your company has provided us. I have to mention Denise is the best property manager we have had. Returning the property to a high standard is very much appreciated and it seems Denise has this at hand. Hi Denise, please pass this along to the head of property management. We would like to say thank you for the post inspection follow up. Of the 3 previous agents we have never received any follow ups even though we did request it so it's lovely to have a property manager who has taken the time to inform us of the follow up process. Thank you we really appreciate it as we know that messages are being passed along now.